Writing that perfect email subject line is getting harder and harder. People’s inboxes are full, attention spans are shrinking, and competition is at an all-time high. It doesn’t matter if your email can convert like crazy when nobody opens it in the first place. I don’t like wasting time writing emails people will just ignore. My gut tells me you don't too. I’m going to give you a shortcut. 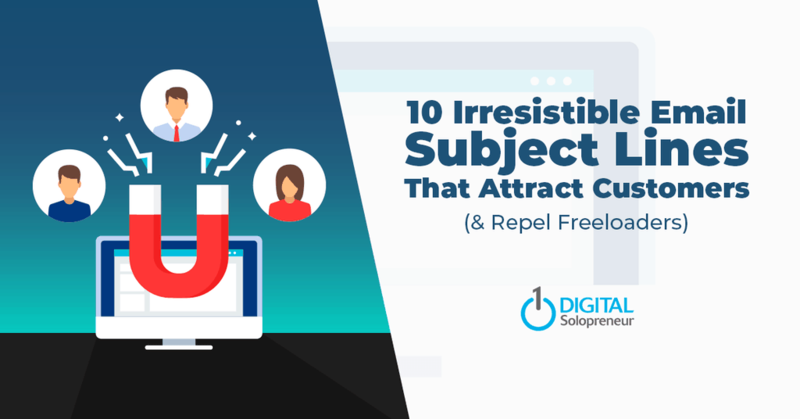 After sending millions of emails in the past year, I took 10 email subject lines with the highest open rates and hand them over to you on a silver platter. And it won’t just be a simple list. The secret sauce behind the subject ain’t just the words themselves but also the situation where they were used as well as a deeper understanding of why it worked. Analysis - Since there’s no surefire way to tell why a subject line works, here's my educated guess on why it did. Lastly, these email subject lines were sent to my main email list and not some small segmented list which tends to inflate the numbers. If I were to start my business all over again, I'd do this. This is the opening email for a sequence I wrote promoting an affiliate product. My aim is to get as many targeted eyeballs to read this email hence I went for broad topic but one that still talks to my target market. Topics for beginners are super relatable. There’s a copywriting principle called “Enter the conversation that’s going on in their minds” which basically tells us to meet people where they’re at. So for example you run a yoga newsletter, sure it’s cool to learn how to do a split but if your subscribers are stiff as a board and just bending over to reach their toes feels like a suicide mission, it won’t appeal to them. A subject line like “Want to reach your toes when you stretch? Do this” would be infinitely more relatable ( believable) for someone just starting out. This is another email promoting an affiliate product. For one, it’s a shocking title. You then add contrast on top of it, I mean, if you’ve been eaten alive, how come you’re alive to tell the tale? There’s instant intrigued baked in the subject line. It’s short but those six words creates an huge amount of tension that the reader can easily resolve by just opening the email. This is part of a pre-launch campaign ahead of the re-launching of my membership site Inbox Society. SIDENOTE: Inbox Society is a online membership program that teaches the use of email marketing to harness the power of storytelling and copywriting to sell almost anything to anyone from the comforts of your own home. I noticed myself clicking on these kinds of email subject lines myself. When I see the name of a popular personality in my space, I tend to click. 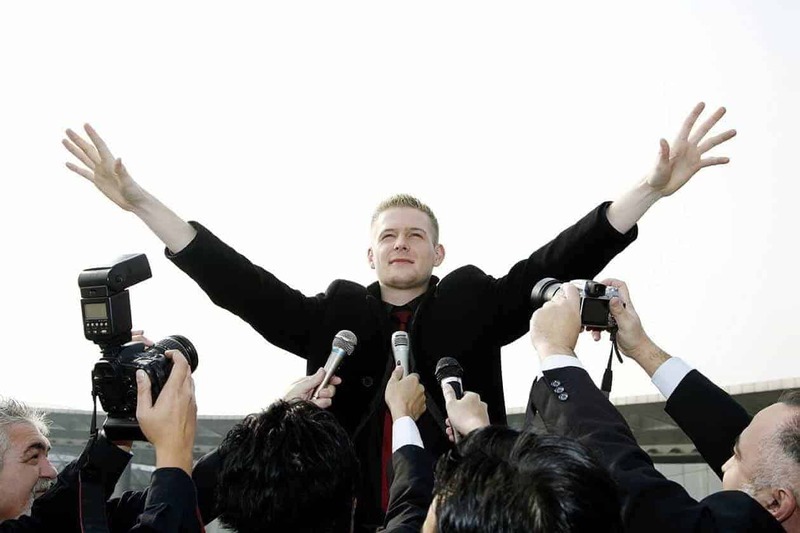 "Did he interview the influencer?" "Was he the one interviewed?" "Is somebody going to get bashed?" This is another email for an affiliate promotion. There’s two parts to this. Second, buying a car every month is a BOLD claim. Something that people can easily dismiss. By having the word “(true story)” in front, it creates tension. In this email, I was recommending a site that ships hard to find books for free. In my niche, email marketing, I noticed that people go bananas whenever someone would ask for recommendation on copywriting books on social media. The comments would get flooded with suggestions. Plus, the words “not available locally” sparks that innate desire to get something we don’t (or can’t) have. This email was sent to subscribers who were having trouble accessing the course. Subscribers were supposed to get a new lesson daily via email. However, the lessons suddenly stopped due to a technical issue. Once, it was resolved I included “[Notice]” in the subject line which implies both importance and urgency which were both appropriate in this situation. The word “notice” has this “open this or else…” vibe to it which makes people open your email to avoid the pain of inaction. This is a stand-alone email that was used to invite subscribers to an Ask Me Anything Session. Pregnancy can be a touchy subject. The question implies that the pregnancy was a new discovery (perhaps even implies that it was hidden). Now this subject line isn’t for the faint hearted. I came across a poster from a church using “Buntis ka?” as its headline in an effort to call out young women who feel alone because of the unexpected pregnancy. The body of the email explains how the church is using its understanding of its target market to create an eye-grabbing poster that speaks directly to its intended audience. Even with a thorough explanation, I’ve gotten angry emails for its use. I don’t take it personally. I doubt they even spent the time reading the body copy. On the flip side, I had a subscriber who wrote back bewildered how I knew she was pregnant thinking I was only sending the email to her. At the end of the day, it got eyeballs. It also split my true fans from the lurkers. Use with caution. Only use this if you have ample experience or if your have a strong relationship with your audience (& can take the heat). Make sure you can pay off the curiosity right away. Justify the use of the subject line immediately to release the tension it can create. This is the second email of an affiliate sequence. It was intended to announce the early bird bonuses of the particular launch I’m promoting. Strategic use of emojis can add personality to your subject line not to mention help you stand out in the inbox. In this case, I was relying on our natural instinct to survive. Hence I used a red dot ( ) which implies importance, urgency, and danger. Channeling that fear to read my email which is informing them of the risks of losing a fortune. And not just any fortune, specifically Php79,740 worth. Adding specificity makes your claims more believable. Lastly, the pain of losing beats out the joy of victory. I made it a point to emphasize the risk of “losing” the bonus instead of promoting its benefit. This is a “blind” subject line. Meaning you don’t have an idea of what’s inside aside from the fact that it promises to be relevant to you. This allows a lot of flexibility. In this particular situation, I used it to invite my audience to a webinar. Our favorite topic is “Me, Myself, and, I”. On the surface, the word “you” caters to our desire to learn more about ourselves. However, I believe there’s an implicit promise that’s immediately made in their mind upon reading the subject line and that’s --- “This affects you (... and only you)”. That’s because email is personal. Sure we are aware that we’re part of a newsletter. That’s the conscious part of our brain speaking. But the immediate visceral reaction upon reading that feels like a message directly made for you --- no one else. This email comes at the tail end of a product launch sequence. It’s aim is to drive non-buyers to a survey asking them why they didn’t buy at this time. The line “Was it something I said?” sounds like you offended someone. Situations that can become awkward. The equivalent of doing that online is to open the email (to know the context) and answer the survey (to give the explanation). The reason I say this is because I’ve gotten comments of people giving me the “It’s not you, it’s me” response in the survey. Oddly enough, they’re the ones who feel guilty not buying your product and are even willing to leave a long response to “clear the air” and get back to your good graces (even if they weren’t ever on your bad side). I’ve found best success with this on warm audience --- particularly at the end of launches. In real life, we only use that line with people we know. Hence cold audiences may feel a little “weirded out” hearing it. You can use these email subject lines as is or as inspiration for coming up with yours. You understand your audience so tweak them accordingly if you must. The key here is to understand the thinking behind the email and apply your intimate knowledge of your market to come up with something that “clicks”. From our list above, what’s your favorite subject line? 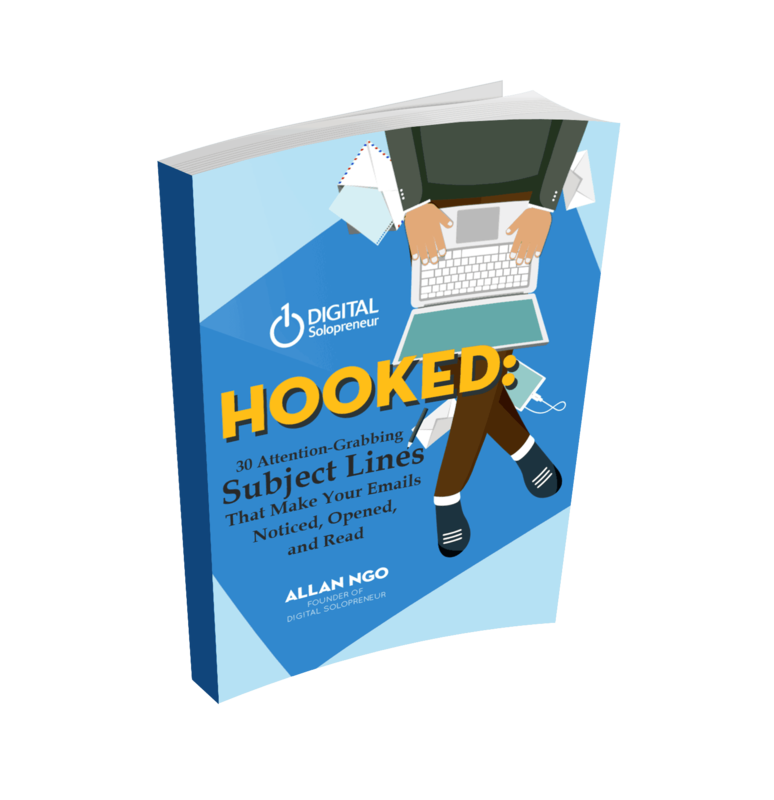 Do you have a subject line that worked wonders for you?